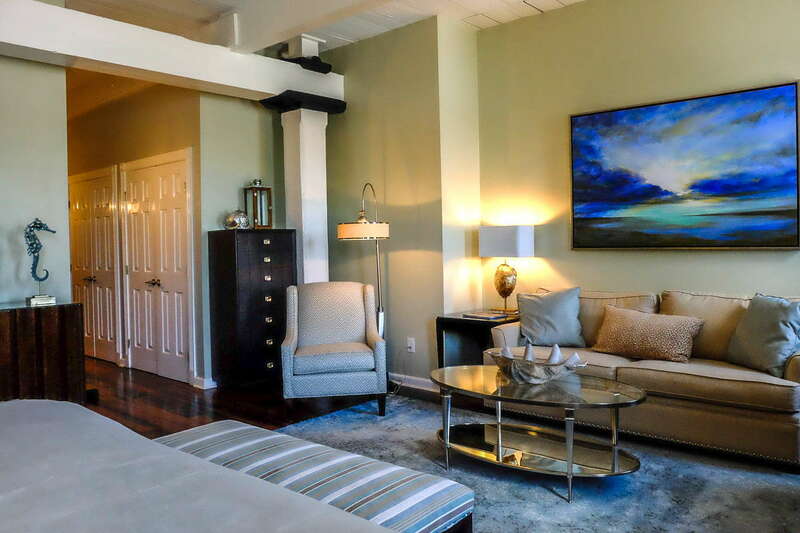 Dating from 1892, this riverfront lodging tries hard to please even if it doesn't always hit the heights; nevertheless, it's a good option for those who want to be near the action of River Street. 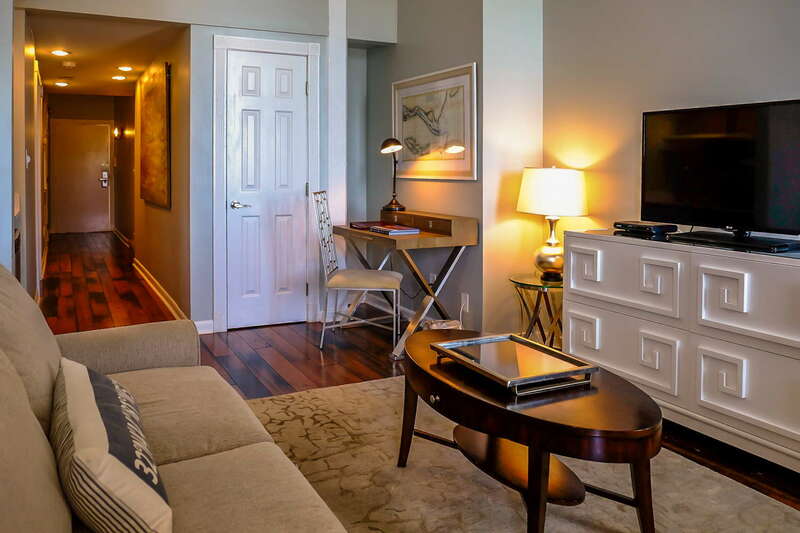 The two-bedroom loft suites are a definite thumbs-up. Bathrooms and kitchenettes are from the 1980s, but have been spiffed up. 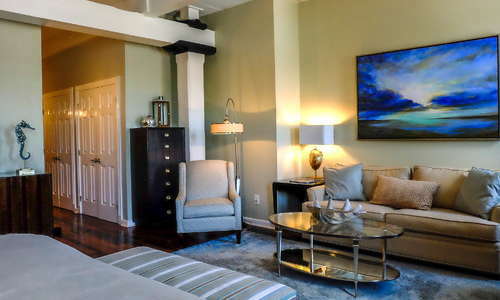 The decor has recently been modernized to give the place a sleek yet homey feel. Meet other guests at the nightly wine-and-cheese reception. Ice cream treats with turn-down service? 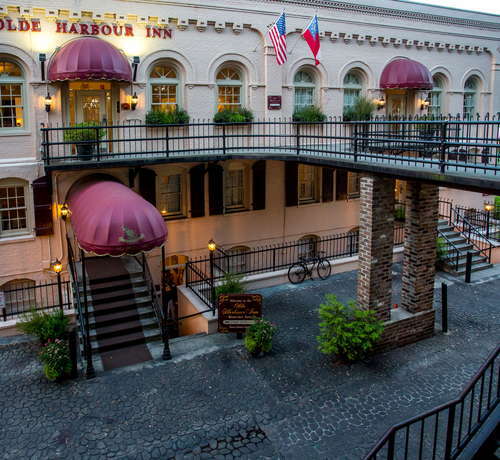 At the Olde Harbour Inn, it's just part of the extra-mile hospitality. Rooms are prettily appointed and sport casual modern decor and artistic flourishes that complement the historic charm nicely. YOU SHOULD KNOW Higher floors are quieter and have better views, but they do require climbing more stairs: there's no elevator. 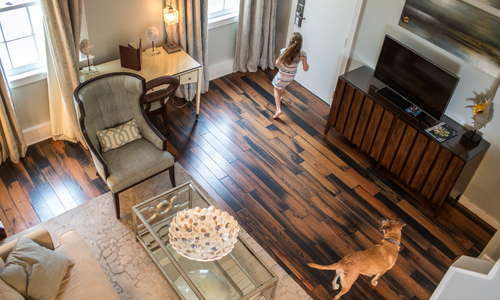 The bathrooms are standard issue for a historic building that has received regular upkeep. Don't expect gold-star luxury here. The lobby is remarkable in that it is pretty and comfortable, but doesn't try to play the part of historic opulence like so many of the neighboring establishments. Instead, the vibe is tasteful and contemporary, complemented by friendly desk staff who do their best to make you feel at home. YOU SHOULD KNOW This hotel loves their furry friends, to the point where canine guests are greeted with doggie treat bags at reception. 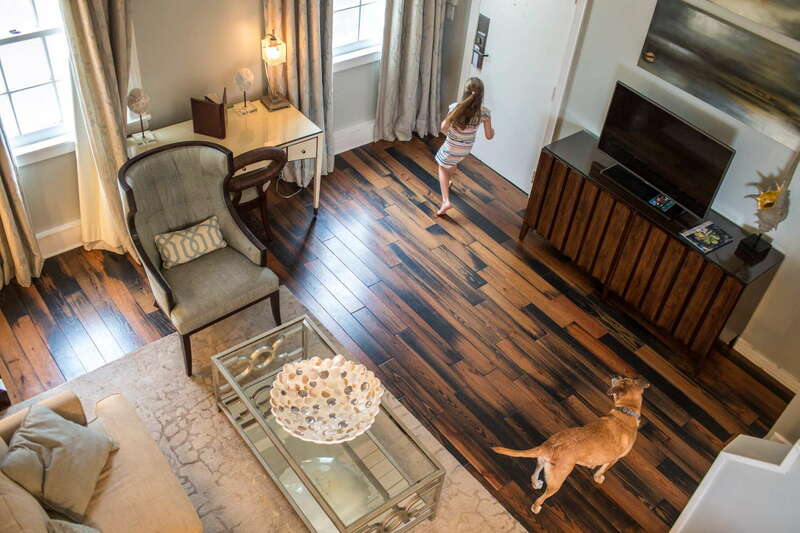 There are rooms designated for pets on the street level. Complimentary evening wine and cheese receptions. 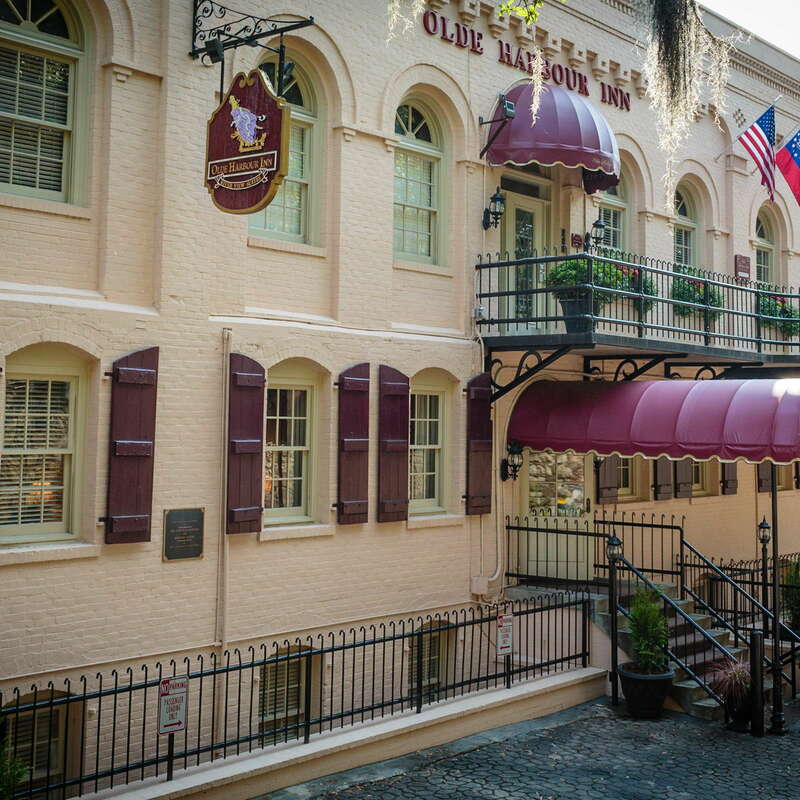 The easiest and most exciting way to get around downtown Savannah is on foot, which reveals hidden courtyards and quaint shops galore. The local trolley companies that originate from the Visitors Center on MLK Boulevard also offer fascinating—and often colorful—historic tidbits while shuttling visitors around the squares and landmarks. Ride the free Savannah Belles Ferry across the river for a lark. For breakfast worthy of a Parisian patisserie, grab a table and a quiche or fresh pastry at Cafe M (8-minute walk). Vic's on the River (6-minute walk) is among the best fine dining restaurants along the Bay Street/River Street corridor. The Louisiana-inspired seafood dishes and views are outstanding. Try the crawfish beignets. For a fun family dinner, try the high-seas-themed The Pirate's House (6-minute walk). 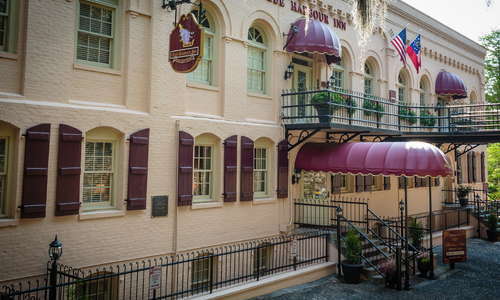 Rocks on the Roof (9-minute walk) is a hotspot for tourists and Savannahians alike because of its breathtaking views of the riverfront. The cocktail, wine, and beer selections are varied and the friendly staff will steer you well. Get there early to claim a spot by the firepit on breezy evenings; you can't go wrong with an order of truffle fries. Frosty daiquiris on a hot day? Don't miss the infamous Wet Willie's (5-minute walk) on River Street. Be forewarned that ordering the Call a Cab may make it necessary to do just that. 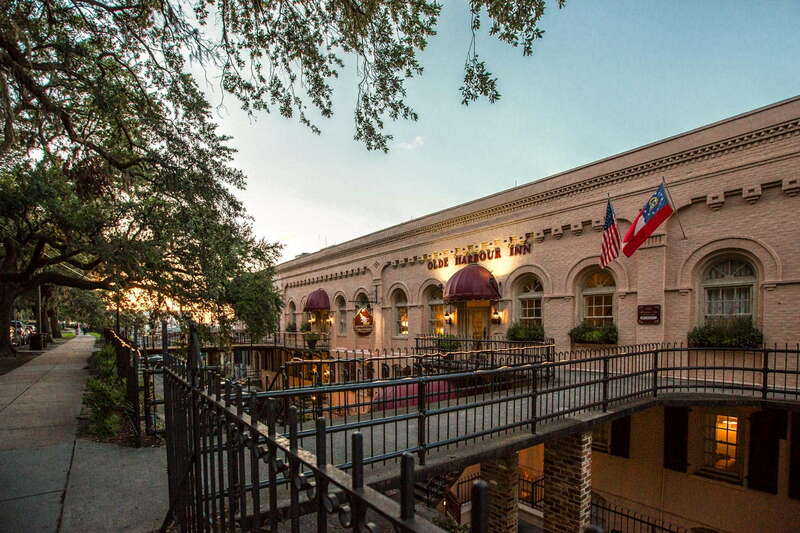 For serious karaoke and a young crowd, walk the length of River Street to Chuck's Bar (11-minute walk). 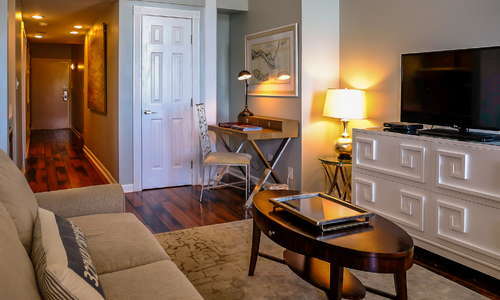 Cute and charming and oh-so-perfectly perched over the river, The Olde Harbor Inn's two bedroom suites are perfect for families and vacations with friends.